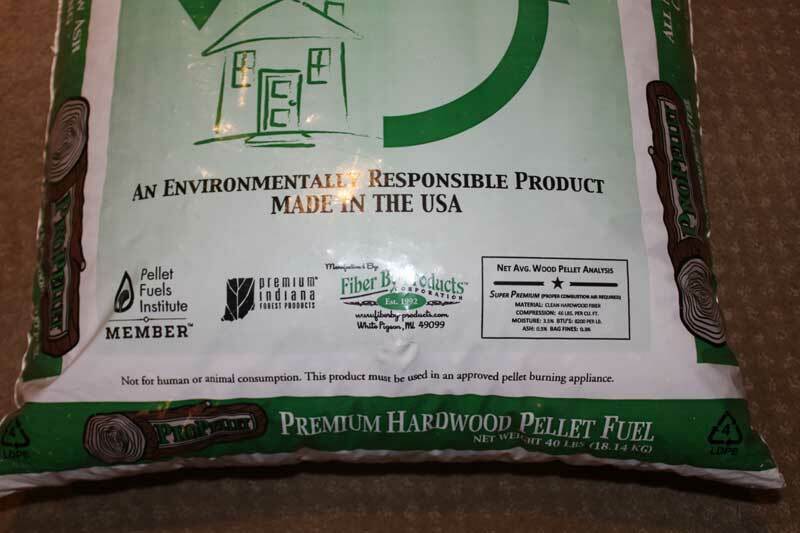 Fiber By-Products, Corp has been the link between waste wood producers and end users. Their Services provide waste producers the environmental friendly option of keeping many tons of wood waste out of local landfills. They recycle and process waste wood daily to supply the agriculture and equine industry with quality animal bedding, factories with boiler fuel and homeowners and landscapers with quality, long lasting wood mulch. 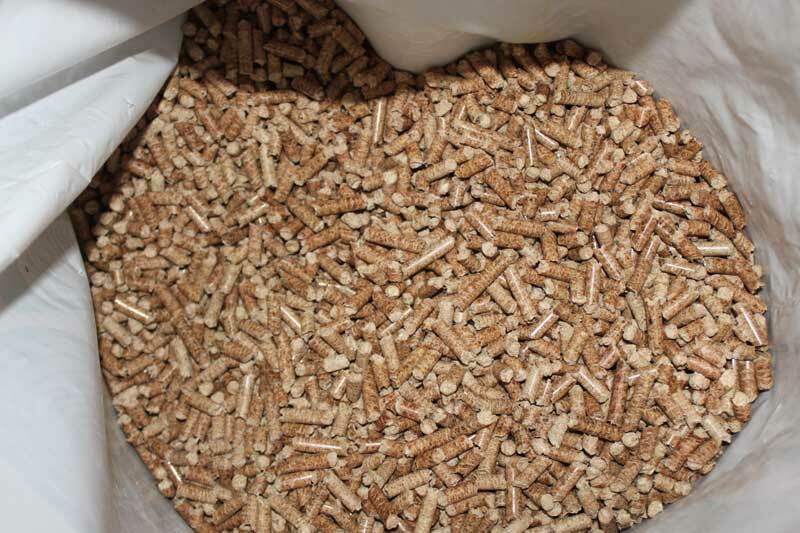 Their processed waste wood is also used by manufacturers of fire logs and wood-plastic composites.They also produce more then 45,000 tons of premium pellet fuel annually with the capabilities of manufacturing even more!. I hate these pellets. They say chemical free, yet the ash they leave behind is blue/green, gunks up the pot, and the smoke gives you a headache. They’re the worst out of all the pellets we’ve ever used. 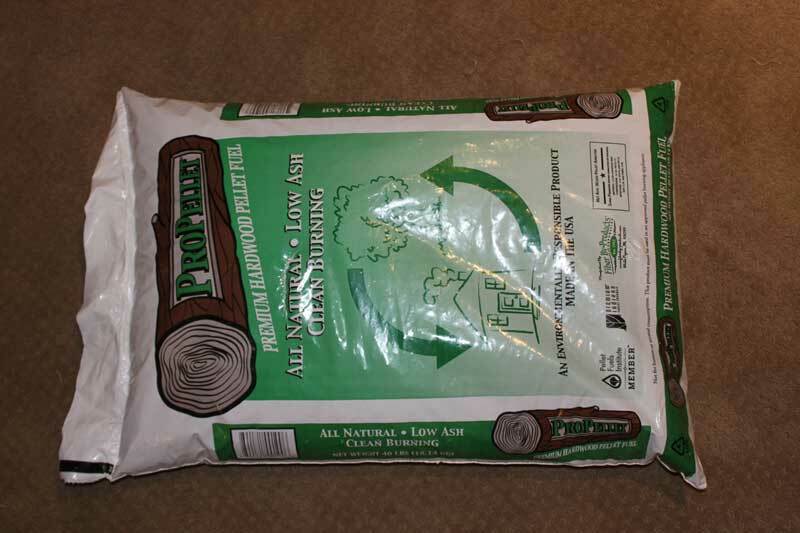 It’s Feb ,8,2018 ,and I have used pro pellets for the past 5 or 6 years and was very happy with the high heat and low ash ,well this year I bought my usual 4 ton from the same supplier and wow what a difference this year . We have to vacuum the hopper every day the pellets are so dusty my auger plugs up nearly every 2nd bag unless you vacuum the hopper , my supplier said when I questioned him that it was a quality problem on the 2nd shift because someone turned the dust screens off because of the noise . 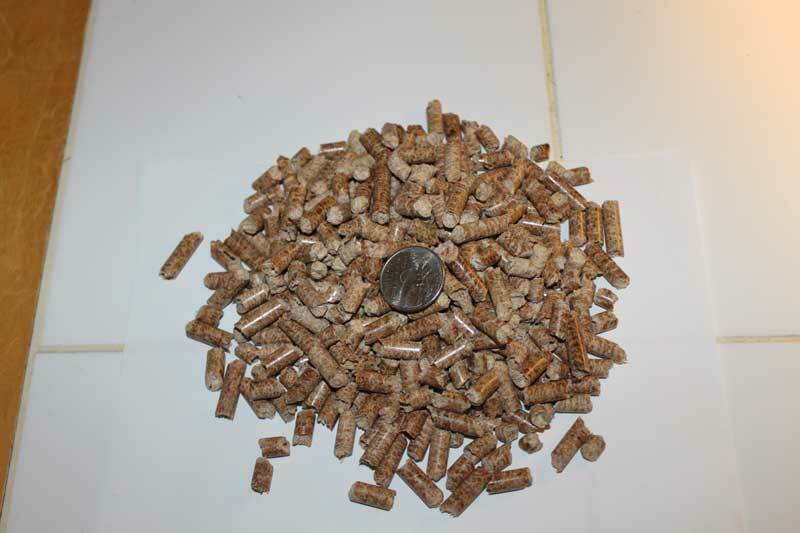 all I know is these pellets are nasty ,but as we all know all good things come to an end ,so I guess the same goes for wood pellets , And yes I tried contacting the company ,but that doesn’t work any better than their pellets ,on the bright side only have 1and a half tons left ,hope they get the problem fixed . 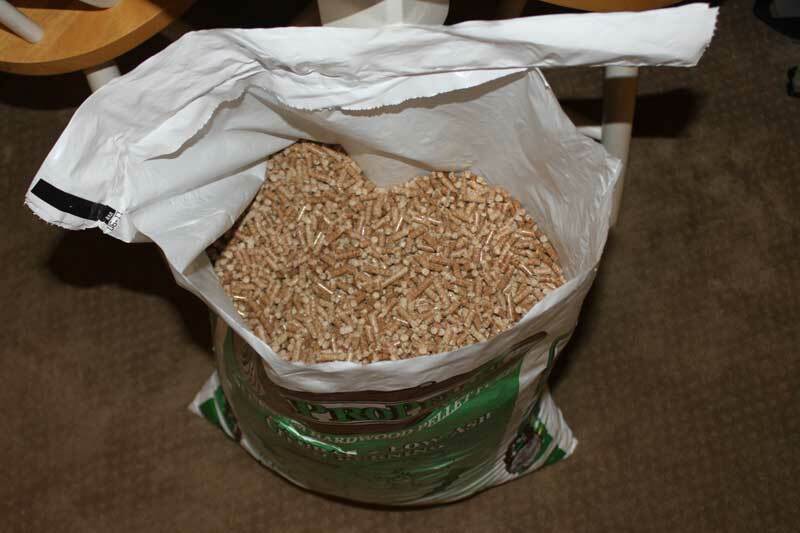 I bought 4 tons of Pro Pellets, enough for the whole winter. We have used them for 3 years I will never buy them again. My house smells like fuel oil, I cannot keep the glass clean, I have to cool down at least once a day to clean, smoke is bluish like an old car burning oil, after I clean it my hands are stained as if I was working on the car. All this but what really concerns me is the bluish-green color of the ash. I have had a stuffy nose since it hot cold enough to need a fire, what am I breathing? Wrote an email to company, no response. I will finish what I have but will never purchase again! 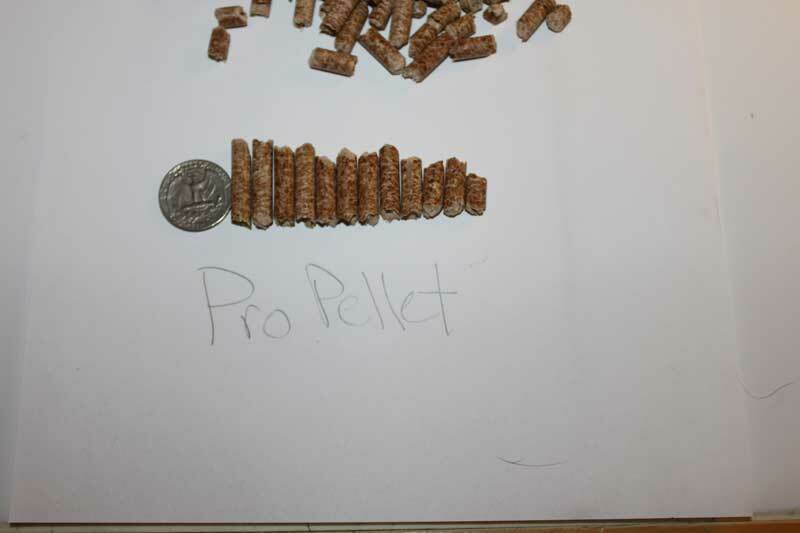 This is the 2nd year we’ve burned Pro Pellets. Was impressed the first year, but this year the ash content is way excessive, clogs up our burn pot and we have to clean our American Harvest Pellet Stove once a day. We have had 2 instances the burn pot got so clogged the fire backfed into the auger system and cought the hopper on fire. Thank goodness someone was home and able to extinguish the fire. Just yesterday we had a large bolt head jam up our auger that was in a bag of pellets, that was a very frustrating task to repair. My local Family Farm & Home is selling slightly wet bags as animal bedding. No where on the label does it say what kind of hardwoods are used. Is walnut? Because those are extremly toxic to horses. 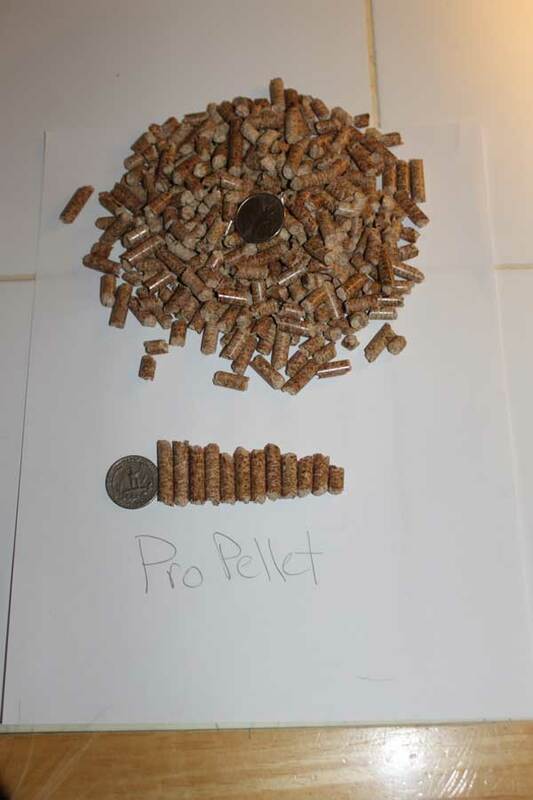 I have used Pro Pellets for several years. Last week I got my second ton. Before I did I read the TSC reviews, 4 different people said they had bad pellets. I got the same thing. 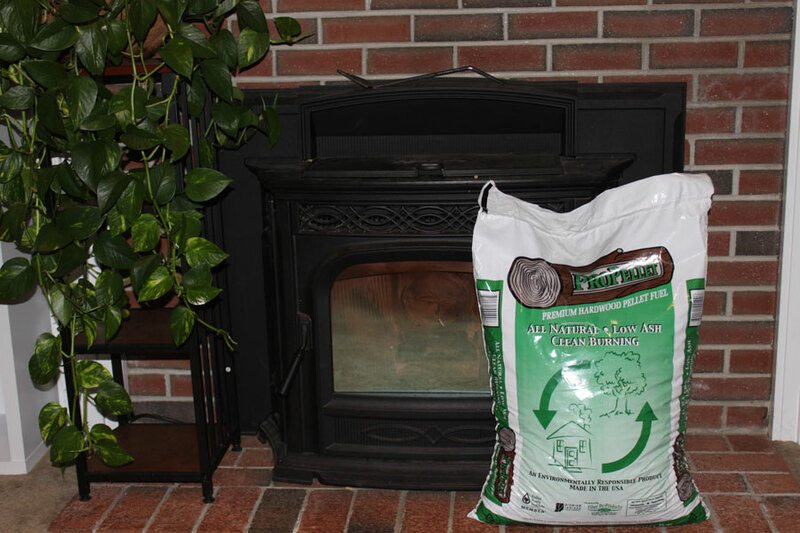 The printing on the bag says 10-17 I can’t run my stove for 8 hours before it shuts off with pellets half burned and clogging up the burner. This is obviously a bad batch from pro pellets. Very dissapointed. do not like them they leave alot of ash and burn too quickly. they are a hardwood brand and you should be burning a softwood bran made of Douglas fir. i am using a Lopi pellet stove insert in my old fire place. Red pine also is good.